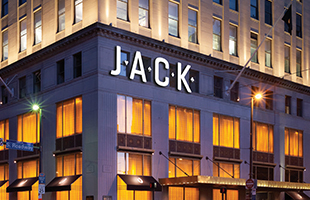 Detroit-based company Rock Gaming LLC announced today that the company and its affiliates (“Rock Gaming”) will begin the transition of operational responsibilities of Horseshoe Casino Cleveland, Horseshoe Casino Cincinnati and ThistleDown Racino. Management of the properties will transition from Caesars Entertainment Operating Company, Inc. and its subsidiaries (“Caesars”) in the coming months and is expected to be completed by mid-2016. At that point, Rock Gaming will independently own and operate the gaming facilities. Turfway Park, located in Florence, Kentucky, completed a similar transition earlier this year. In February of this year, Rock Gaming announced it entered into an agreement with Caesars which resulted in Rock Gaming owning 100 percent of Horseshoe Casino Cleveland, ThistleDown Racino, Horseshoe Casino Cincinnati, the Ritz-Carlton, Cleveland, Higbee Building, and a controlling interest in Turfway Park. As part of the transition, the properties will be rebranded and a new loyalty program that offers a robust set of perks and benefits will be introduced. Upon completion of the transition, Horseshoe Casino Cleveland, Horseshoe Casino Cincinnati and ThistleDown Racino will no longer be part of the Caesars Total Rewards loyalty program. Rock Gaming will be rolling guests’ current Total Rewards Tier Status, Tier Credits and Reward Credits over to the new loyalty program. Guests will also keep their Total Rewards Tier Status, Tier Credits, and Reward Credits and will still be able to use them at all Caesars properties outside of Ohio. Additional details about the rebranding and new loyalty program will be announced in the coming months. During the transition, all of the properties are open for business as usual and will continue operating with minimal disruption. Current casino team members will remain in their positions with the properties and will become part of the Rock Gaming family as the transition progresses. “Our top priority is making this transition a seamless experience for our more than 3,600 new team members and millions of guests,” said Cullen. “Our guests will still receive the same high level of commitment and service they have come to expect.” Guests can receive more information at www.Rock-Gaming.com/guestinformation.